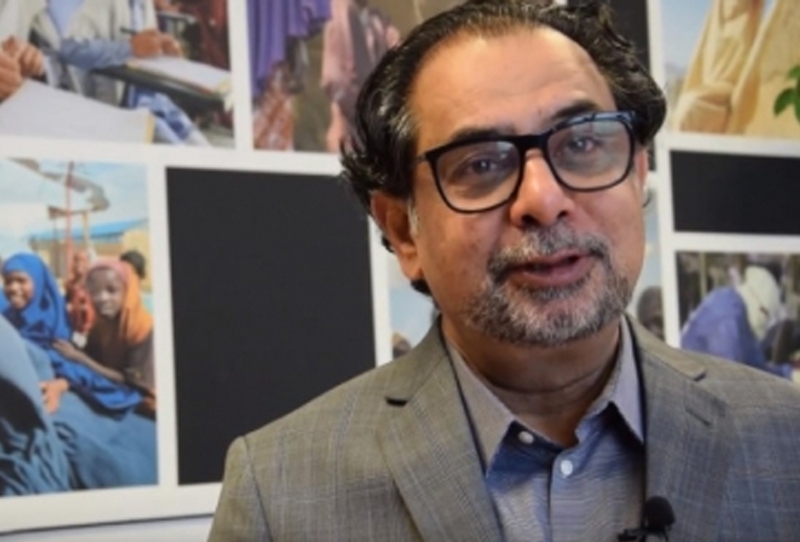 Marvin Parvez is one of the firmest believers in the positive impact of humanitarian standards, as well as an expert practitioner within the Sphere community. Discussing his work as a long-time Pakistani humanitarian professional and as a Sphere partner in Asia, he shared his experience and talked about the many times he saw standards improve people’s lives in the aftermath of a crisis. Marvin started his career working with the Tajik refugees fleeing into Afghanistan during the civil war. He got to know the Sphere standards in October 2005, when a major earthquake hit the Kashmir region. With devastation across India, Pakistan and Afghanistan, Marvin took part in the disaster response as a staff member of Community World Service Asia (CWSA), a large humanitarian and development organization with projects in 11 Asian and Pacific countries. CWSA was recognized as a Sphere regional partner in Asia in 2011. The organization started carrying out capacity-building, advocacy and dissemination activities across the region. Since then, CWSA has trained more than 8,000 relief workers from different backgrounds, showing them how the application of humanitarian standards in disaster response truly has a positive impact on the affected communities. As regional representative, Marvin has had the opportunity to witness such impact and the implications for all the actors involved. “The agencies that adhere to the Sphere standards are different. The population has started to realize it”, Marvin explains. “It improves our relationship and credibility both with the communities and with the local government”, he adds. CWSA has been deeply involved with the two most recent revisions of the Sphere Handbook, gathering input from practitioners all across Asia, contributing to the translation into local languages, and organizing multiple launch events for the 2011 edition. As a Sphere partner, the organization also works to build the capacity of other relief actors in the region and to encourage the local application of quality and accountability standards in both policy and practice.